I am very keen on the whole family eating together and of course eating the same thing, I might have mentioned before that I am not a big fan of “kid’s food” and who needs it. Be adventurous, there are so many delicious things to try and honestly who wants the headache of cooking lots of different dishes? That said, it is not always plain sailing to keep the customers happy. 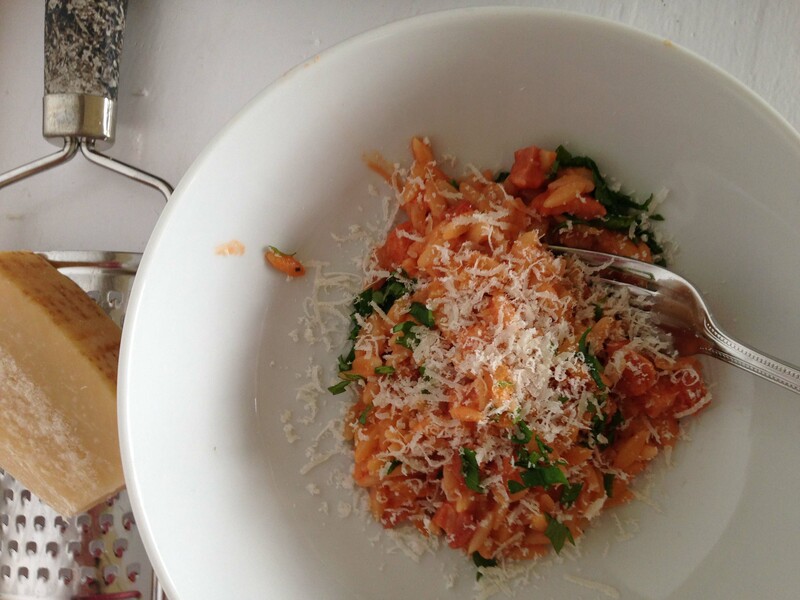 One of my children is currently off pasta, rice (except Paella – how does that work?) and sausages, neither like mashed potato and the other doesn’t really go a bundle on many vegetables. I am nothing if not determined however and this salad suits everyone. 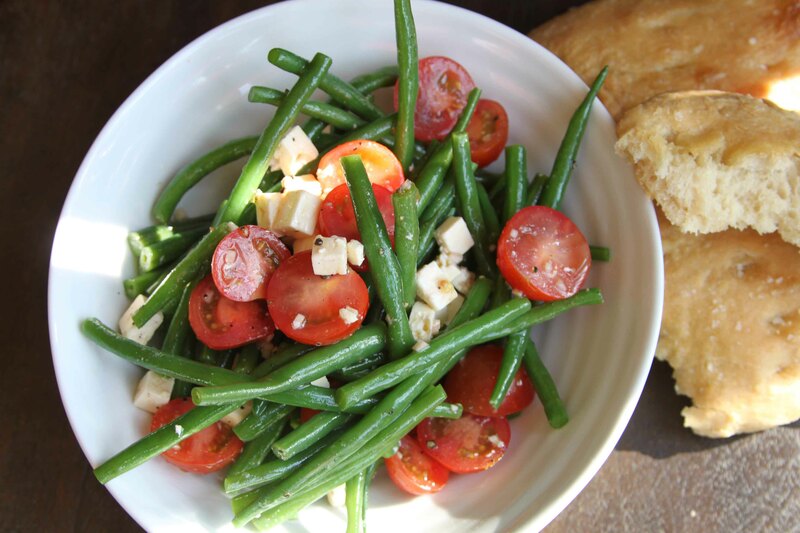 The crisp beans with sweet tomatoes and salty feta go together unbelievably well. I can’t quite say perfect marriage, too many contenders but that sort of thing. My daughter loves the beans because of the garlicky dressing and the feta (but not the tomatoes), my son loves the beans and tomatoes (but not the feta) and I love it because the bowl is always empty. I often serve this with roast chicken or lamb and it is one of the sides I am most likely to make to go with a barbecue. It is a perfect solitary lunch or supper, quick, easy (so simple I am almost embarrassed to put it up as a recipe) and cheap too. A twist on this and particularly good with chicken or fish is to lose the feta and have loads of garlic, lemon (zest and juice) and parsley or dill along with some black olives. I do alter the components depending on who is eating the salad and would usually add olives the version you see in the photograph. I served this, as you can see in the picture, with some focaccia which is simply the wild garlic one I wrote about in May but now that the wild garlic is over I use a regular good olive oil on its own but you could easily whizz up some other herbs if you like. Cook the beans until just tender. 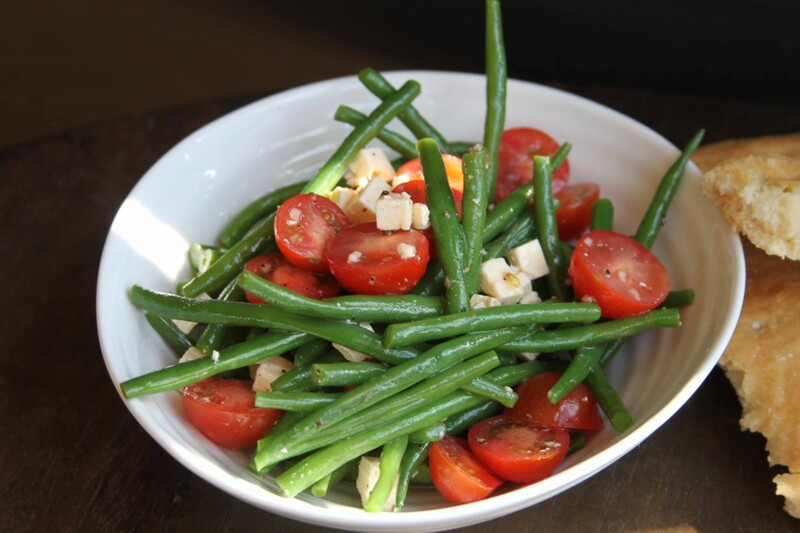 Mix the oil, vinegar and garlic in a bowl with a little salt (remember the feta is salty) and pepper then add the beans and turn them well in the dressing, put in the tomatoes and feta and mix gently until just coated. Taste, you may want to add a little more seasoning. Serves 4. 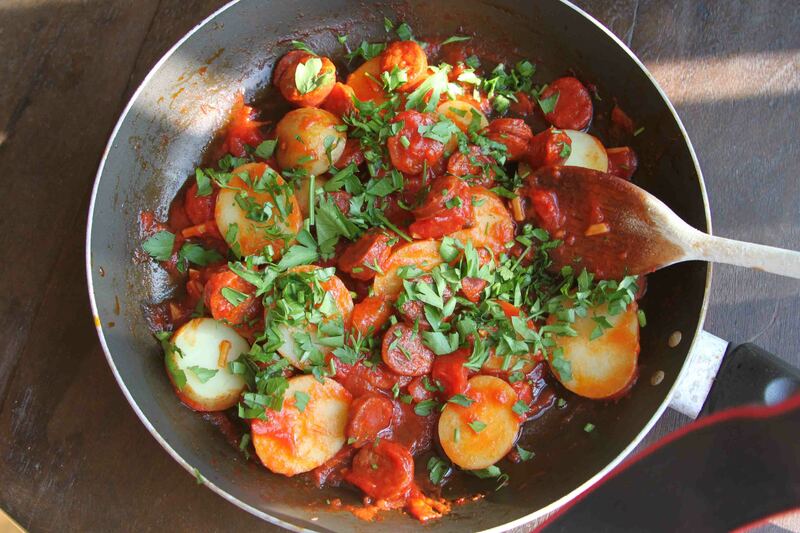 Is there anything that doesn’t taste better with a bit of chorizo in it? I love that rich, spicy flavour and the way it imparts its sunny personality into other ingredients. Chorizo has great shelf life and is fantastic to have in the fridge for those inevitable moments when you have empty beaks to feed and the cupboard is bare. This is one of my children’s favourites, unbelievably quick and only uses 5 ingredients. 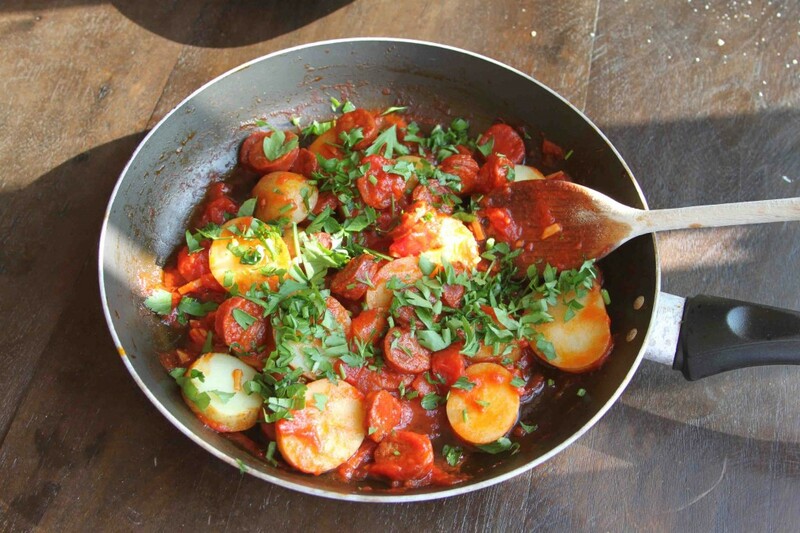 If you don’t have any potatoes, make Chorizo and Beans (365 things to eat, June 2013) or for a more summery feel, Chorizo, Tomatoes and Green Beans (September 2013). I use the Goikoa Spanish chorizo which I buy in Waitrose, it comes in a 260g horseshoe but any other cooking chorizo would be fine too. Heat the oil in a pan over a low heat, slice the chorizo and add it to the pan. Meanwhile slice the potatoes and cook until tender then drain. When the chorizo is beginning to colour on both sides, add the garlic and cook for a minute followed by the tomatoes. 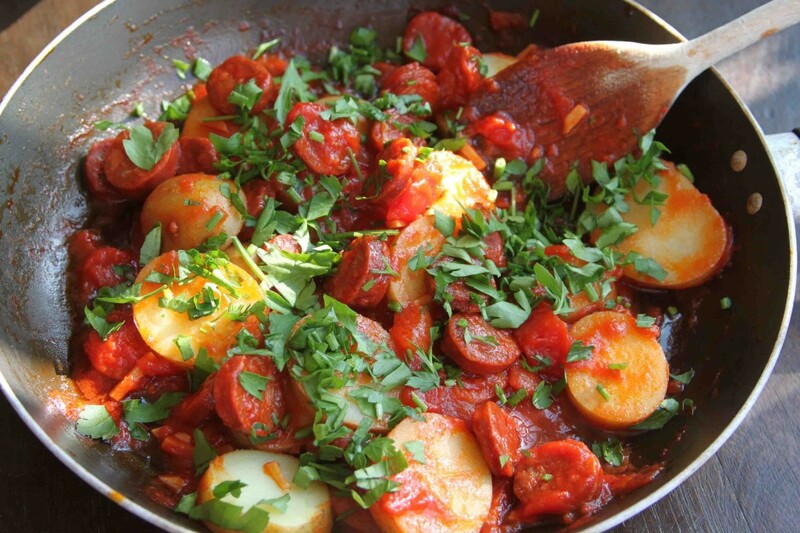 Let this simmer for 3-4 minutes then put the drained potatoes into the pan, turn them so they are coated with the tomato sauce, finally sprinkle over the parsley. This serves 2 but is easily doubled, just use the whole horseshoe of chorizo and a normal 400g tin of tomatoes. Is this the taste of Summer? I think it might be. It is also one of the simplest and most rewarding. All you need is a loaf of sourdough (or similar), a pile of tip top, super ripe, full of sun juicy tomatoes, some really good olive oil, garlic and a few herbs if you have them. My family love these and we eat them several times a week when the tomatoes are on top form. 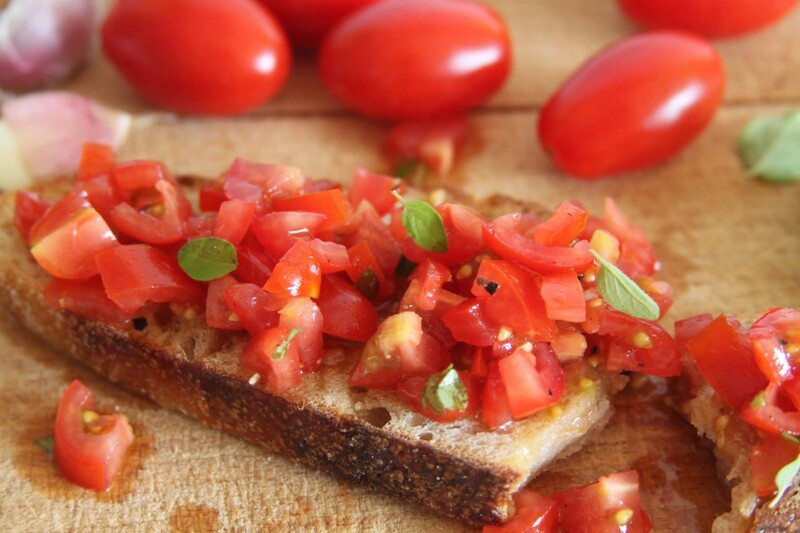 I toast the bread, chop the tomatoes and then set up a production line – a plate full of these bruschetta are always greeted with delight and never hang around. I urge you to make these. The toms in my garden are still a little small and green but the ones at my local farm shop are perfect right now (Washingpool Farm Shop in case you are near the coast on the Dorset/Devon border this summer, superb shop and worth a visit). Surprisingly these also work for a picnic, just toast the bread at home and then take the tomato mixture in a tub. When you get where you are going rub some garlic over the toasts (undressed sourdough stays crispy for ages) then top with tomatoes and drizzle with a little of the oil. Tuck in with your toes in the grass or better still the sand and remind yourself what summer tastes like. It is difficult to be exact as I don’t know the size of your sourdough but this is a guide. This amount would serve 4 with drinks before lunch or dinner but I bet they will want more. Slice and toast the sourdough. Finely chop the tomatoes and put in a bowl with the oil, vinegar, a pinch of sea salt and some black pepper if you like, stir. 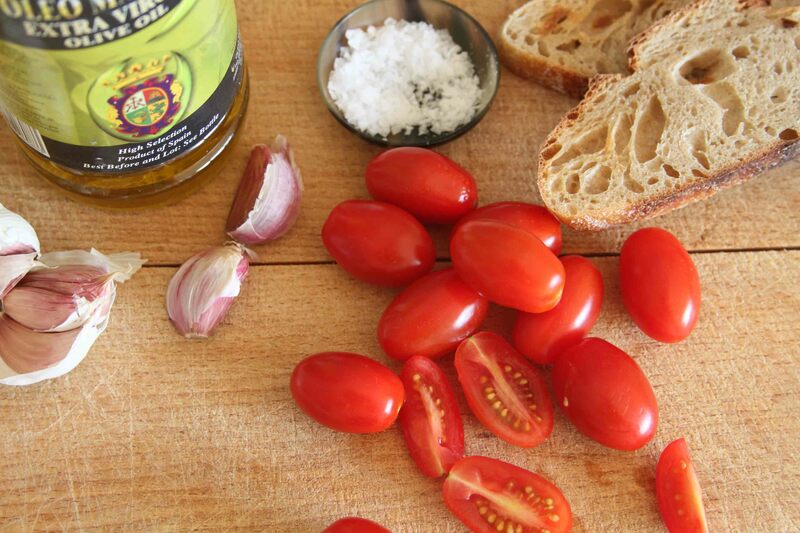 Rub the toasts with a cut side of garlic, top with the tomato mixture. Pour over any remaining oil and sprinkle with the herbs. We eat a lot of soup for weekday lunches, partly as a fabulous quick warm healthy solution but also because for some maddening reason I can’t always sell the idea to my children. 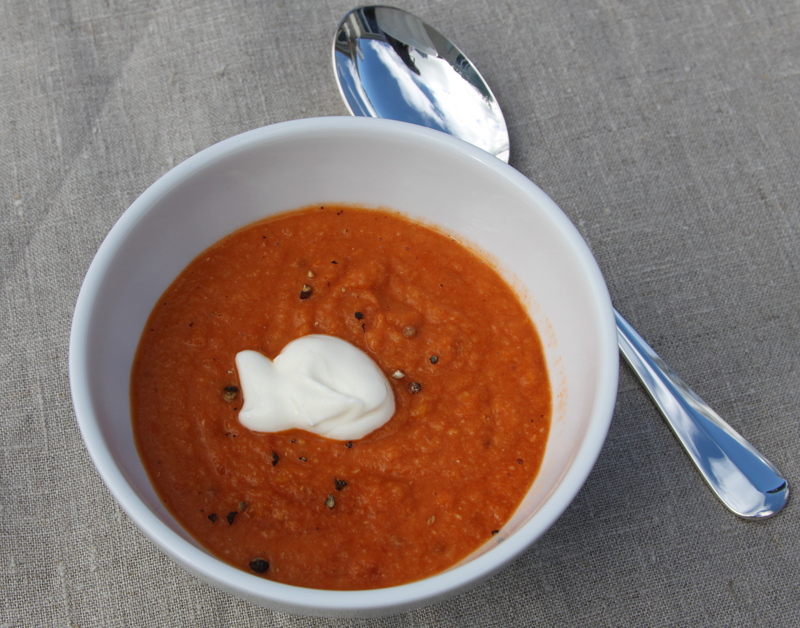 Tomato soup fine, creamy onion soup fine but anything green or pulsey they just won’t love. I keep on trying though. Whenever we have a tapas, picnic sort of weekend lunch in the cooler months, I tend to rustle up some kind of soup. Serve it to the children in little bowls with something yummy and crunchy to sprinkle on the top. This way not only is the amount not too daunting but there are other things for lunch if it is really poorly received. It seems to work this way but would be a different story I think if they were presented with a big bowl of soup and nothing else…. 1/3 bunch coriander chopped (optional) I add for us, not for my children. Soften the onion in the oil for a few minutes over a gentle heat, add the garlic, ginger, chilli and salt. Stir, add the lentils, stir again and add the coconut, tomatoes, stock and sugar. Simmer for 20 minutes or until the lentils are soft and have broken down. Add the coriander if using and blend with a stick blender or in a liquidiser. If you like you can serve the soup with a blob of yoghourt. This is just fabulous to warm you up on a chilly blustery day. Delicious, wholesome, cheap and made pretty much from store cupboard ingredients. Extremely easy to make and you just know it is doing you good. Increase the chilli if you like it spicy or omit if serving to very small children.